CLOSEOUTS . 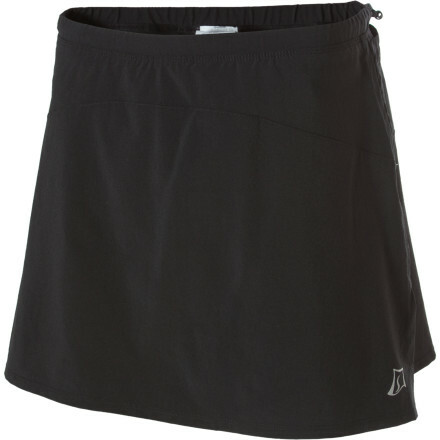 You're sure to have a whole lotta love for the Skirt Sports Lotta Breeze carpris skirt, made with warm and wicking knee-length capri tights beneath a breathable all-mesh skirt outer. Available Colors: WHITE/PRINT DESIGN, WHITE WAIKIKI PRINT, BLACK VINYL PRINT/BLACK LEGS, PINK CRUSH/BLACK LEGS, RED KISS/BLACK, ALTA MODA PRINT/BLACK, POW PRINT/WHITE, BLACK, CELEBRATION PRINT/BLACK, LAPIS W/CELEBRATION PLACED PRINT, UNTAMED PRINT/BLACK, 08, FIESTA PRINT/BLACK, OASIS PRINT/WHITE, PARADISE PRINT/BLACK, ABERDEEN PRINT/BLACK, ARMADA BLUE/ARMADA BLUE. Sizes: XS, S, M, L, XL, 2XL, 2XS. 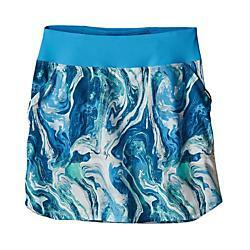 Thanks to the winning combination of full coverage, performance fabric and fun style, the SkirtSports Lotta Breeze Capri skirt helps you get through your workouts in total comfort. 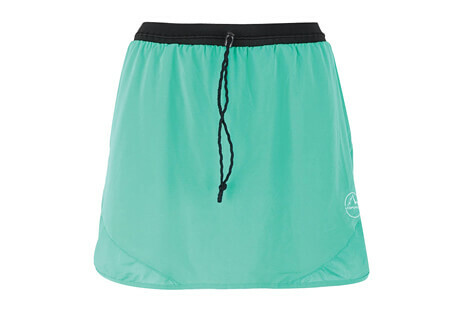 Skirt Sports created the fantastically versatile and flattering Lotta Breeze Capri Skirt so you can keep it clear that you're a girl as you shave five minutes off your personal best at your next half marathon. But really, whether you're getting serious at a race or just hitting up a meditative yoga class, the Lotta Breeze Capri Skirt will keep your legs and bum covered while still offering the feminine look of a thigh-length skirt. Highly breathable fabrics keep you comfortable and dry, and smooth seams won't chafe no matter how many miles your jog takes you. Two hidden pockets hold small necessities safely, and a music cord port lets you move to the soundtrack of your choice.